This is one pack of wolves you don’t need to be afraid of! 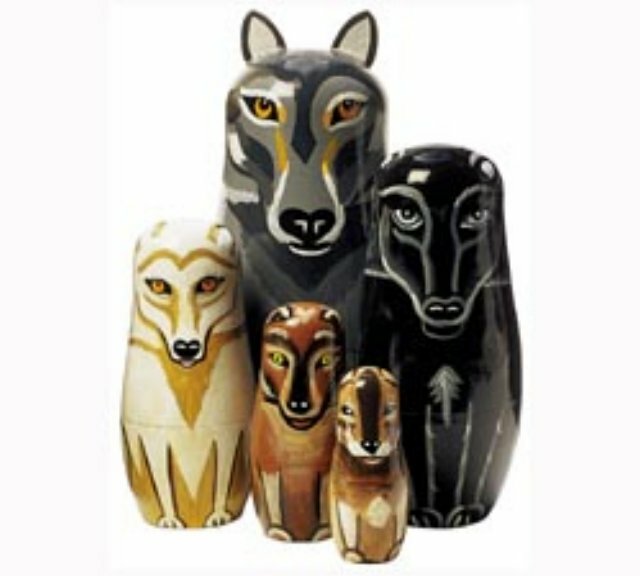 Five hand-painted wolves nest inside each other keeping a watchful and protective eye on your hidden treasures within. Display them together for a more dramatic effect or add them to your collection. Largest wolf measures over 5.5" tall.